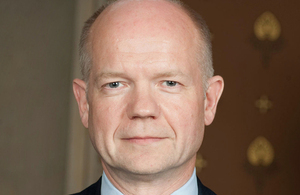 Below is the text of the speech made by William Hague, the then Leader of the Opposition, on 26 April 2000. The specifics of the particular case are best left to the criminal courts. But politicians aren’t doing their job if they don’t listen and respond to the unprecedented public outcry which has greeted the murder conviction for this Norfolk farmer who was defending his home against burglars. What is the point of having a police service and prisons when three criminals, with 114 convictions between them, are allowed to wander about free to terrorise rural communities? What has happened to our courts system when career burglars and muggers get a few dozen hours community service, or a couple of months in prison if they’re unlucky, while people defending their homes against the very same criminals risk long prison sentences? Why is the Government cutting police numbers, and why has it hamstrung the job of those policemen and policewomen who remain, at the very moment when crime is starting to rise again? Politicians need to provide answers to these questions if public confidence in the criminal justice system is not to collapse altogether. If the Labour Government cannot or will not, then it is the duty of the Conservative Opposition to do so. These are the broad principles of our response to the anger expressed by the British people in recent days and months. I will expand on them further when I speak to the Police Federation Conference next month. First, we are going to restore confidence in our courts and prison service. The three men who broke into Tony Martin’s farm had each been convicted of dozens of criminal offences, ranging from burglary and theft to wounding and assault of a police officer. Most of the time they were fined paltry sums or given community service. Occasionally they got short prison sentences, and even then were released early after just a few months behind bars. Their histories of repeated crime and repeatedly lenient sentences is sadly familiar in today’s courts. No wonder the public despair and the police ask what the point is of catching criminals when they just get released back on to the street. Part of the blame lies with a liberal legal establishment that too often appears to put concerns for the rights of criminals before the rights of the millions of vulnerable people who live in fear of crime. The next Conservative Government will take a different approach. We will introduce honesty in sentencing, which means that criminals serve the sentences handed down in court. Automatic early release on licence will be ended. We will extend the ‘two strikes and you’re out regime’ to other crimes, such as selling drugs to children. We will greatly expand the number of Secure Training Centres so that young thugs are actually taken off our streets and locked up. And we will make prisoners work in prison, rather than sit about learning from each other about how to commit more crimes. These common sense policies are tough. Criminals won’t like them; nor will some left-wing pressure groups. That is because they restore the proper balance between justice and a safe society, and because they are true to the instincts of a British people fed up with the failure of the courts and prisons to deal with persistent criminals. Second, we are going to give the police the support and backing they deserve. One of the greatest deceits of this Government has been to promise to be tough on crime while at the same time cutting the number of police who fight crime. By the end of this Parliament, there will be 2,500 fewer police than there were at the beginning. What sort of message does that send to career criminals about our determination to catch them? What does it say to rural communities miles from the nearest police station, or families terrorised on sink estates, or elderly people and young women afraid to walk down our streets at night? This Government’s cut in police numbers is a total disgrace. Tony Blair and Jack Straw are failing in their most basic duty, that of protecting the public. The next Conservative Government will reverse Labour’s cut in the number of police. We will also give the police the support and backing they need. At the moment many policemen and policewomen spend just 20 per cent of their time actually fighting crime. We will make sure the police spend less time filling in forms and hanging around in court waiting rooms, and more time on the streets catching criminals. Third, we are going to re-balance the justice system to protect people who defend their families, their homes and their property against criminals. Vigilantes have no place in a civilised society. But there is all the difference in the world between the career criminal who sets out deliberately to burgle a house and the terrified home-owner who acts to protect himself and his home. Unless our laws reflect natural justice, then they fall into disrepute. The next Conservative Government will overhaul the law with a strong presumption that, in future, the state will be on the side of people who protect their homes and their families against criminals. Restoring confidence in our courts, supporting our police and tipping the balance of justice in favour of those who defend their homes and their families: these are three key principles which will guide any Government I lead. Conservatives believe in the first and foremost responsibility of the state is to protect its law-abiding citizens. This Government is failing in that responsibility, which is why the outcry over the Martin case has reverberated far beyond a small village in Norfolk. The Conservative Party has heard the outcry and is responding.